Invicta Fighting Championships staged a highly successful debut event on Saturday night at Memorial Hall in Kansas City, Kansas. The all-female card was headlined by a rematch between Marloes “Rumina” Coenen and Romy Ruyssen, with Coenen defeating her French adversary for a second time. Jessica Penne put on the best performance of her career in her atomweight debut against battle-tested veteran Lisa Ellis in the Invicta FC 1 co-feature. Penne landed a devastating knee that hurt and badly bloodied Ellis in the final round, leading to an impressive TKO victory for the fast-rising star. Coenen (20-5-0) took an early advantage in her main event bout with Ruyssen (5-2-0) when Ruyssen was docked one point for grabbing the cage in round one. The penalty was a curious one, but Coenen didn’t let up despite her opponent’s misfortunate. When Ruyssen attempted to pull guard, Coenen battered her with punches and elbows from the top. Ruyssen looked to counter with an armbar from the bottom, but Coenen reversed into a modified arm-triangle choke. Ruyssen got in some good shots early in the second round, but Coenen began to take control of the fight in the clinch, where she targeted Ruyssen’s thighs with knees. Ruyssen attempted to jump guard again and even attempted a flying full nelson in the final stanza, but Coenen remained composed and methodically broke her opponent down. In the final seconds, Coenen caught a kick from Ruyssen and swiftly swept her leg out. Ruyssen fell to the mat with a bang and Coenen calmly walked away as the final bell sounded. All three judges scored the one-sided fight 30-26 for Coenen, who moved to 20-5 with her third win in her past four fights. Penne (9-1-0) and Ellis (14-8-0) battled back and forth on the feet and on the ground throughout an entertaining opening round in their featured co-main event matchup. Penne, fighting at 105 pounds for the second time, used her size and reach advantage to keep Ellis at bay and even threatened with a unique crucifix double armbar attempt at the end of round one. Penne was able to reverse a takedown attempt in the second round and attempted a pair of heel hooks, but Ellis fought free and landed some solid punches and elbows from the top. Penne remained active from her back in search of a triangle choke and an armbar, but Ellis slammed her way free and the fight moved on to a third and final round. After an exchange of body kicks, Penne landed a vicious knee to the face of Ellis, whose nose appeared to be broken by the strike. Ellis began bleeding heavily all over the mat after she took Penne down. Penne scrambled and reversed, then moved to mount. She unloaded with right hands as Ellis rolled to her side and the fight was stopped, giving Penne an impressive TKO win at 2:48 of round three. Former Strikeforce title challenger Liz “Girl-Rilla” Carmouche (6-2-0) made short work of boxer Ashleigh Curry (1-1-0) in Curry’s second MMA bout. Carmouche wasted little time in taking Curry down to the mat, where she passed to mount and landed punches until referee Greg Franklin called a stop to the fight at 1:58 of round one. The victory got Carmouche back on track after tough losses to Marloes Coenen and Sarah Kaufman. In the Invicta FC 1 Fight of the Night, Kaitlin Young (7-5-1) and Leslie “The Peacemaker” Smith (3-2-1) fought punch-for-punch and kick-for-kick through fifteen minutes. While the judges could not pick a victor, the true winners were the fans, who tuned in by the tens of thousands as the fight progressed. Over 100,000 fans worldwide witnessed the action-packed battle. Smith set the tone of the fight early on with aggressive striking that kept Young on the defensive. Punching combinations scored for Smith and she slammed Young to the mat after catching a kick. Young fought back to her feet and the fighters exchanged knees and body kicks. Smith countered a combination with a flurry to the head and body and she continued to dictate the pace until the bell. More leg and body kicks scored for Smith in round two and she backed Young up with punches. Young began to find more success with counter right hands and body kicks of her own as she circled away. Young landed leg kicks and a front kick to the midsection that kept Smith at a distance, but Smith closed in and put together more quick combinations late in the close round. Smith rushed right in and began round three with a leg kick. She landed another kick to the body and a flurry, then followed with a one-two and an uppercut that appeared to briefly stagger her opponent. Young recovered quickly and clinched, but Smith reversed a takedown and punched from the top. She opened a cut on the back of Young’s head and both women attempted armbars. The fighters stood and traded more kicks and punches until the fight came to a close. Fans in attendance rewarded the fighters with a standing ovation, but the judges ultimately could not decide on a winner. Scores were 29-28 Smith, 29-28 Young and 29-29 for a Split Draw. MMARising.com scored the fight 30-27 in Smith’s favour, though Young gained momentum as the close fight progressed. Both fighters were given their win bonus and the bout was awarded Fight of the Night honours. In action earlier on the card, Strikeforce veteran Sarah “The Monster” D’Alelio (5-2-0) asserted her dominance on the ground en route to a second-round submission victory over the previously unbeaten Vanessa Mariscal (2-1-0). D’Alelio punished her opponent with punches and elbows from top position in round one and held back control for the majority of the opening five minutes. Mariscal could do little more than fight off rear-naked choke attempts and survive D’Alelio’s striking onslaught. In round two, D’Alelio took Mariscal back down after an exchange of power punches and moved back to mount. She postured up and teed off with punches that forced Mariscal to submit at 3:19 of round two. Sarah “White Tiger” Schneider (6-5-0) showed why she is one of the most underrated female fighters in the sport with an impressive first-round submission victory over FCF and Legends MMA champ “Slick” Sally Krumdiack (9-5-0). Krumdiack controlled the fight early on with punching combinations and knees to the body, but the tides changed in an instant when Schneider pulled guard. An errant strike on the way down opened a cut on Krumdiack’s nose and she began to bleed heavily while working from Schneider’s guard. Schneider locked on a triangle choke, but Krumdiack refused to tap. Schneider switched to an armbar and Krumdiack was finally forced to submit at 3:01 of round one. Amy “Lil’ Dynamite” Davis (3-2-0, 1 NC) ended the night’s preliminary card in style with a second-round submission victory over Nicdali “The Night Queen” Rivera-Calanoc, who briefly entertained thoughts of retirement after tonight’s fight but later reconsidered. Rivera-Calanoc scored a takedown in round one, but Davis countered well with a tight triangle choke from the bottom. Rivera-Calanoc weathered the storm and somehow managed to escape after a prolonged period trapped in the hold. Back on the feet, Rivera-Calanoc looked for another takedown and got it. Davis defended well and prevented her opponent from landing anything damaging from the top. The second round began with an exchange of strikes and Rivera-Calanoc eventually managed to take Davis down. Davis countered with an inverted triangle choke and transitioned to the top. She landed punches and elbows to set up a fight-ending Kimura at 3:47 of round two. In a strangely inactive fight, Sarah “KO Kid” Maloy (3-2-0) ended a two-fight losing skid with a Unanimous Decision victory over Michele “Diablita” Gutierrez (3-3-0). Neither fighter was willing to commit to any sustained offence during the standup fight, but Maloy’s aggression and cage control were enough to sway all three judges to award her the fight. Scores were 30-27, 29-28 and 29-28 for Maloy. 2008 Olympic bronze medallist Randi Miller (1-0-0) had a tough first round in her MMA debut against “Miss” Mollie Estes (1-1-0), but pressed on to earn a third-round TKO stoppage. Miller struggled to get Estes down in round one and ate numerous knees to the face for her efforts. In round two, Estes tried for an armbar and a rear-naked choke on the ground, but suffered a taste of what was to come when Miller unloaded with punches in the final minute. The final round was all Miller, who worked non-stop for a takedown until she finally got it. Once on the ground, Miller unleashed a barrage of hammerfists for the TKO stoppage at 3:27 of round three. St. Louis police officer Ashley “Smashley” Cummins (3-0-0) picked up the biggest victory of her pro career with a Unanimous Decision verdict over the returning Sofia Bagherdai (4-2-0), who came in well above the 115-pound limit. Cummins scored takedowns in all three rounds and controlled the fight from the top. Bagherdai landed some nice strikes on the feet, but she was not able to keep the momentum going and spent much of the bout fighting from the bottom. The judges had little trouble in determining a winner and awarded the victory to Cummins with scores of 30-27, 30-27 and 29-28. In a brief bout to open the card, late replacement “Sassy” Cassie Rodish (2-3-0) made short work of Meghan “The Babe” Wright (1-4-0). Rodish scored a takedown early on and locked on a power guillotine choke as Wright tried to stand. Wright could not get out and tapped out just 36 seconds into the fight. 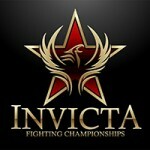 Full play-by-play for all Invicta FC 1 fights is available here.